I think the moment I became interested in start-ups was the moment I got bored in university and started doing my own research and learning. The first start-up I was interested in was something Reid Hoffman, the founder of LinkedIn, has called The Start Up of You. I spent a couple of years building a personal brand and even an alter ego. Whilst that was successful and opened several career doors that others didn’t know existed I wanted to work on something bigger than just me. So that’s when I got involved in the social entrepreneurship start up space. I feel very lucky to say that I got to work with an awesome team of inspiring young Australian men as together we co-founded the men’s mental health campaign Soften The Fck Up and then the company behind that Spur Projects. 2013 is a year of firsts for me where I’ll challenge myself like never before (I’ve moved to the other side of the world). 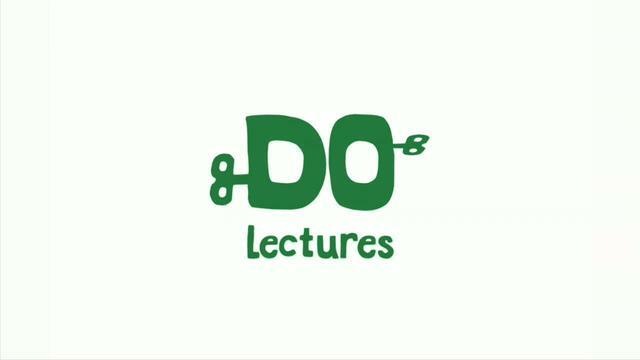 I recently applied to attend the Do Lectures in Wales; an event has intrigued me for a while now. The Guardian named it in the top 10 ideas festivals in the world & described it as a mash up of SXSW and Burning Man. The way that it is run means you’ll take as much away from the location, the people and the experience as you will from the actual speakers. The first challenge was being accepted for a place, which I can assure you wasn’t easy. The hardest part was probably the fact that you had to handwrite your whole application! The application was made up questions like who are you in 50 words or less, draw a doodle of yourself, when did you last inspire yourself (not including the doodle) and what do you do for fun to name a few. Each question is worthy of its own blog post that I’m sure I’ll get around to in due course. What separates this conference from the plethora of other amazing ones out there is due to the location being quite hard to get to, all of the speakers stay for the duration of the conference. So rather than being forced to try come up with every question you have for the speaker in a one hour slot and then hoping they pick you if your game enough to put your hand up, this format allows you to genuinely build relationships with speakers over a couple of days. I was sparked into life by a conference last year to revamp my blog and use it to showcase the new direction I’m heading in both my career and my writing and I’ve got a feeling that The Do Lectures will have a big impact on my career moving forward as well. It paid off to trust my gut and speak from the heart. Why sharing someone else’s story is far more powerful than telling your own. Love the new look blog Damon – Nomad!